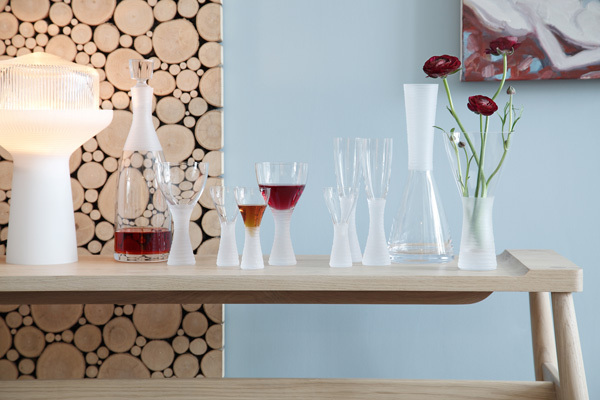 Monika designs all of the pieces produced by LSA International, (and they currently launch around 250 new designs each year), which gives the range a consistency, coherence and sense of continuity. 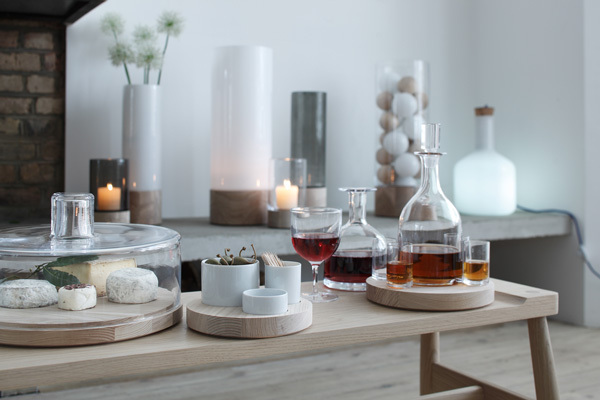 I particularly like the Lotta collection, one of LSA International's best selling ranges, which combines the warmth of wood with simple clean lines. 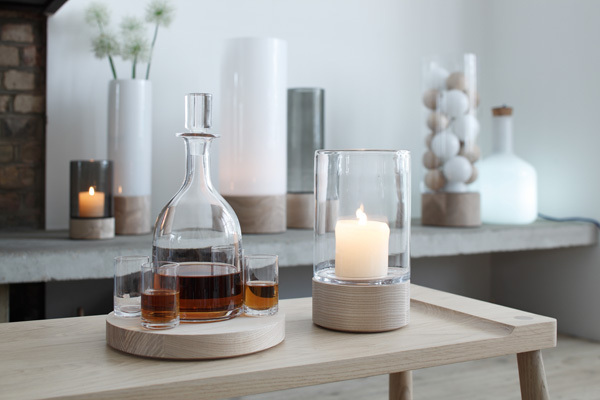 They have just launched a number of new colourways and additional pieces, including an elegant decanter set and vases that double as lanterns. Each piece has an untreated ash base with a soft undulating grain that is perfect for a modern rustic look. Also new for AW2013 is the Organza collection, inspired by the fabric it takes its name from. 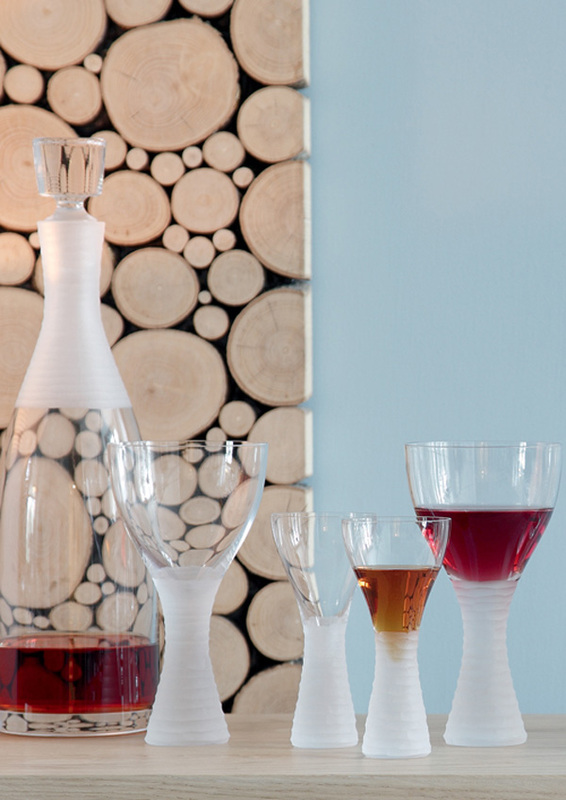 Like almost all of the company's glassware each piece is individually mouth blown and hand finished by skilled artisans. A diamond wheel is used to add texture through the creation of a strata of decorative cuts that replicate the creases and pleats of fabric or the chiselling of wood.